I have long hairs and some time it becomes really difficult to maintain them specially with all the sun gaze and pollution of Mumbai. Also, for the hairs like mine which are wavy with little frizz I needed a shampoo - conditioner combo which will make my hairs feel soft. I recently got Milk & Honey Gold Shampoo & Conditioner set and have been using it for 2 months now, 1-2 times a week. As claimed by Oriflame, the shampoo is luxuriously creamy which gently cleanses hairs to leave them soft and shiny. The shampoo is infused with organically sourced extracts of milk and honey and thus it smells of that. Shampooing with this itself is an indulgent experience. It is very soft and rich. Following this shampoo, conditioning with Milk & Honey Gold conditioner only enhances the effect. Its beautiful smell makes your hair feel heavenly. 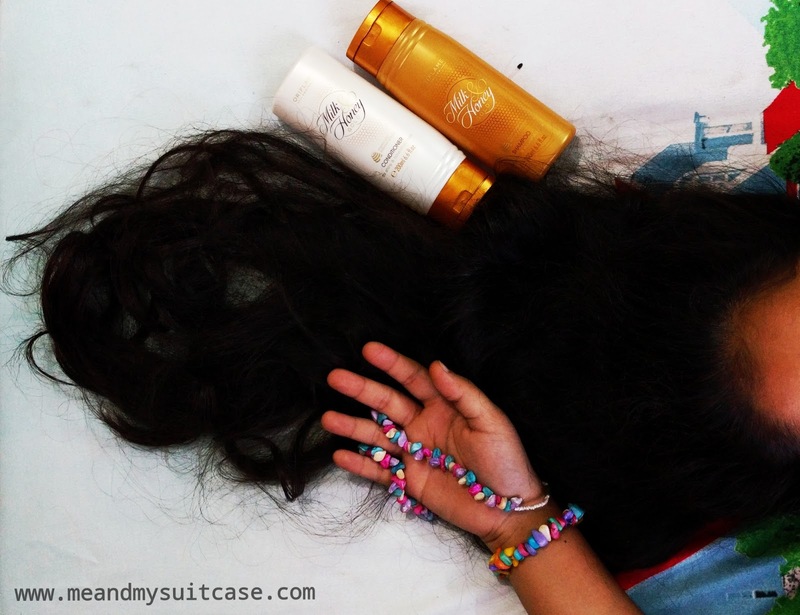 It detangles hair to leave them smooth, soft. The scent of the shampoo-conditioner set caress your hairs and lingers on for a day. For normal to dry hair. Conditioner: 200 ml for INR 329. Okay! This sounds like a good shampoo and conditioner.